MOTIFS - Boatyard of Edam, Lisbon Harbor, The Bridge, Portugal Factories, Pirate Ship, Estombar. In the style of Braque. 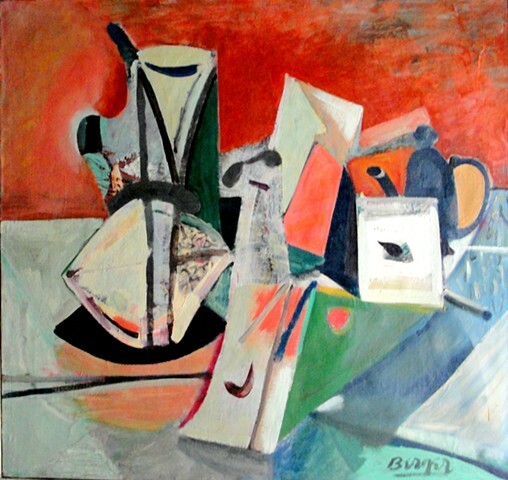 In 1949 after graduating from the Museum School in Boston, Berger spent 3 years in France (1949-1952) and visited Braque in his studio.